Smoothies Your Kid's WIll Love! So it’s been a massive battle getting my son to eat anything nutritious these days especially while he’s teething, and on those days he decides to be extremely picky of course. One day he will eat an entire container of raspberries, the next day he won’t touch them. It’s like a mystery trying to figure out what he likes. One thing he never turns down is a smoothie. I like to change it up and he enjoys them every time. I sneak all sorts of goodies into them. It’s like a complete nutritious breakfast all blended up and he loves them. I have a few different recipes so he gets something different every day. On the days he is under the weather, I add honey to the smoothie which makes it almost too sweet for me but he loves it. TIP: When I’m making one for my husband and I as well, I use 3 cups milk or coconut milk, 2 scoops protein powder, 3 cups ice, and 2 bananas. 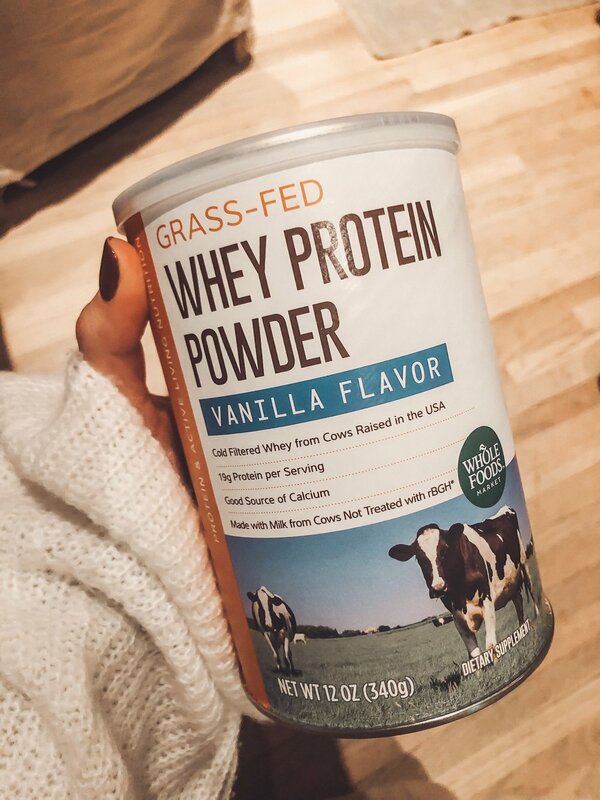 My favorite protein powder is only found at Whole Foods. It has 19 grams of protein per scoop. I couldn’t find a link but here is a picture. I use the vanilla in all of mine but I do like the chocolate when I’m in the mood. This one may not be as big of a hit with the kids but it’s hit or miss and worth a try! 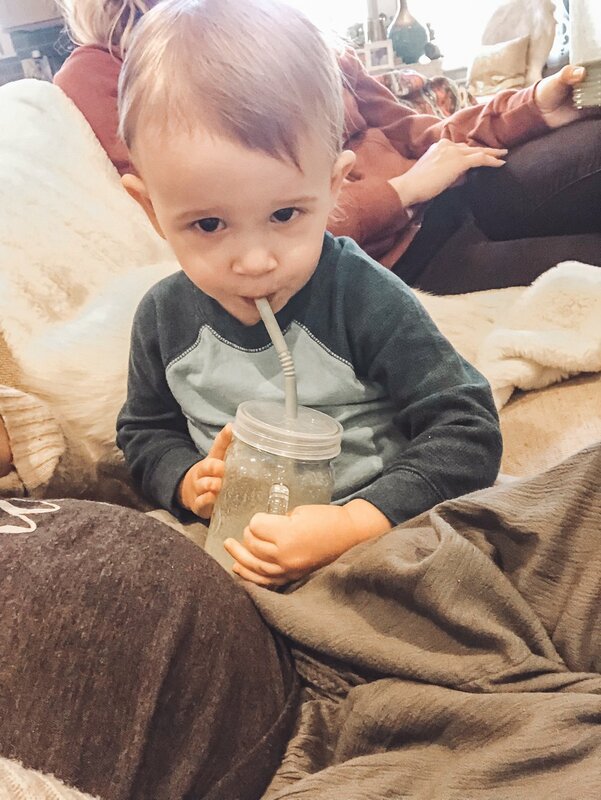 Maverick likes to trade cups with me to steal some of my smoothie when his gets low. If your smoothie is too thick add more milk. My son likes them more watered down so I always have to add a little more milk after the first blend. Eye it and see what your kid likes best! My husband likes them really thick so I give him some from the first blend then add more milk. Let me know what smoothie was your favorite and which was a hit with your kids! !